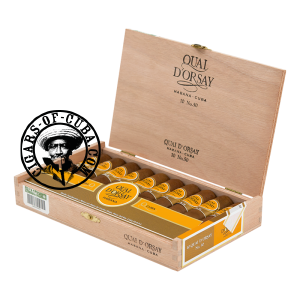 This Petit Robusto will most likely become a must-have for all Cuban cigar Aficionados in the world. A new shiny band marks the re-design of this brand, reviving its classy style orginally created for the French market. This light body Petit Robusto will be a perfect day smoke, after lunch for example. Wrappers tend to be of a light colour and its shape is similar to the Partagas Serie D No.5.